Here we will discuss about how we can create a simple app using angular js 2. So first up all the question is why angular js 2? 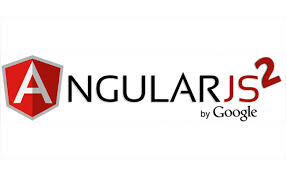 Angular js 1 is basically developed for google developers for their internal use and more over it is developed for UI designing purpose and later they extended many features like two way data binding etc. Now Angular js 1 is widely used by developers. Recent past some architectures and developers points about performance issues and angular core team finally come up with a new version of Angular and it is Angular js 2. Which is well structured and it offers a very good performance. Before starting be ready with following things. It contains all the dependencies. The script sections details are used for typescript for compiling purpose.Once you add package.json, go to command prompt and run "npm install" or you can open the folder and do "shift + right" click you will find an option "open command window here" ,click that and type "npm install". You can add other dependencies as well (eg:bootsrtap) then you can just type "npm update". You can see a folder "node-modules" is created with all the files. sampleComponent.ts is typescript file. I added JSON file inside the constructor itself for now, ideally it should be from service file, I am not going to explain those in this post. In angular 2 we need to initialize the things rather than browser taking the control. Now open command prompt and type "npm start". You can see your first Angular 2 app. If you are getting any error check typo mistake and also try to debug in chrome. The above demo is a kind of hello word application just to start with angular js 2. I will be writing more about on angular js 2 and things like setting a single page application. If you are interested bookmark this page.